General Finishes Design Challenge – YOU Vote! 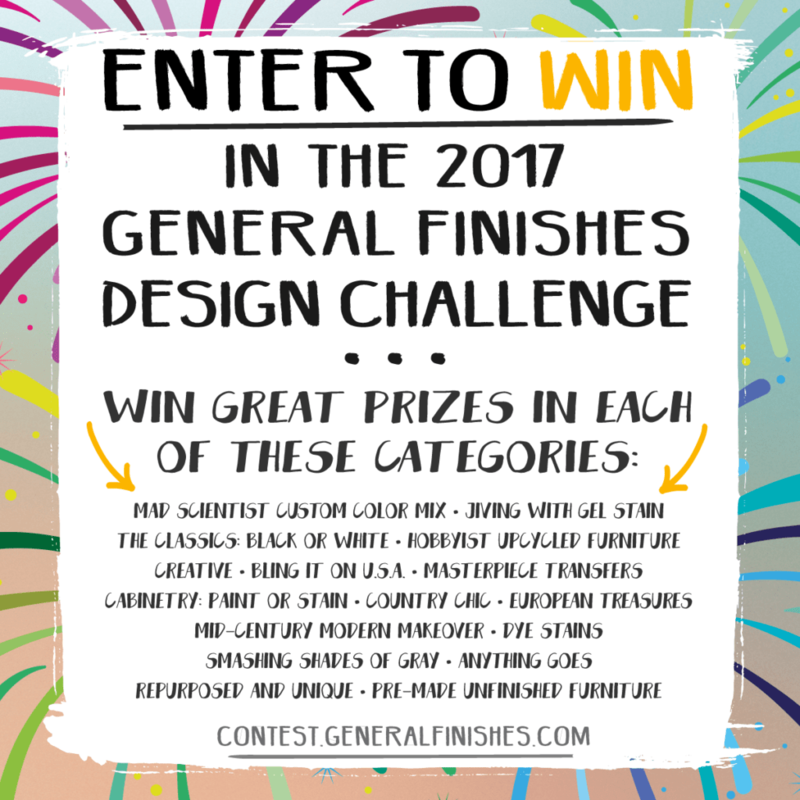 I am one of the judges in the 2017 General Finishes Design Challenge and wow! It is so good this year with their fantastic new 2017 categories! I am going to have a very difficult time deciding this year because of the amazing entries! There is such talent out there! Here is where you can have fun, too. If you click HERE and head over to the Design Challenge, you can register and vote in the Mad Scientist Custom Color Mix category. This one will be decided by popular vote so please, click on over and have fun choosing your favorite!